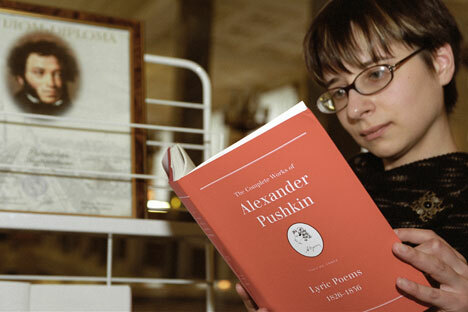 Which Russian books besides classics does the English world know? As December 2015 sees another week of Russian literary events in New York City, RBTH asks Anglophone readers and publishers about their favorites and bestsellers among 21st-century Russian fiction. When English-speaking readers talk about Russian novels, they generally mean Dostoevsky and Tolstoy, Bulgakov and Pasternak. How many of us read works by 21st-century Russian writers? And, if not, what kinds of books are we missing? There is no shortage of serious literary fiction coming out of Russia, but the best-selling contemporary authors write, as they do in many languages, horror stories, fantasy and whodunits. In Sergei Lukyanenko’s Night Watch series, supernatural beings do battle on Moscow’s streets. Andrew Bromfield translated the first book into English in 2006 and it sold millions worldwide, winning an international following. A sixth book, already extensively pre-ordered, is due out next summer. Bromfield also translated Boris Akunin’s successful cascade of effortlessly elegant whodunits, featuring diplomat-turned-detective Erast Fandorin. Part I, set in 19th-century Moscow, London and Petersburg, was published in English as The Winter Queen in 2003. Agnes Kindrachuk from Montreal recommends Akunin for “fun reading”. Dmitry Glukhovsky found an international audience with his Metro 2033, a post-apocalyptic underground adventure set in the disused tunnels of the Moscow metro. Published in English in 2011, it became a European cult bestseller, shifting nearly two million copies of the printed edition worldwide, with equally large numbers downloading the Russian digital edition. Ksenia Papazova of Glagoslav, a publishing house specializing in translated Russian books, told RBTH that their Dutch translations of Glukhovsky’s fantasy and its sequel Metro 2034 were consistently among their top bestsellers: “He is very famous in Russia, and Dutch science-fiction fans find it very interesting as well.” Metro 2035 came out this year in Russian and will be translated soon. Vladimir Sorokin and Victor Pelevin have also written violent, literary dystopias with some appeal for international readers. Day of the Oprichnik (FSG, 2012) was well reviewed, but Amazon reviews suggest general readers sometimes struggled; Seamus Sweeney from Dublin found “the excess of this dystopian vision rapidly becomes repetitive,” while J. Kevin White, a US-based Pelevin fan, describes it Sorokin’s novella as a book with “almost no redeeming features”. Pelevin’s fiction, especially his late-20th-century classic Omon Ra, is more perennially popular. Gary Shteyngart, Keith Gessen and Boris Fishman, all writing in English, join a celebrated tradition of Russian-American fiction dating back at least to Vladimir Nabokov. Their texts are peppered with Russian literary allusions, like Fishman’s antihero in A Replacement Life, Slava Gelman, whose nickname “Gogol” reinforces the novel’s echoes of Dead Souls. Andrey Kurkov had an international hit with his novel Death and the Penguin when it appeared in George Bird’s 2001 translation. Kurkov, who has published prolifically ever since, is a Ukranian author writing in Russian. Test: Which character are you from Eugene Onegin?